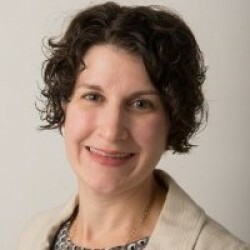 Rachel Werner, Owner and CEO of RBW Strategy, has over 13 years of grants, consulting, communications, writing, strategic planning, training, and project management experience. Rachel Werner’s career has spanned the corporate, nonprofit, and public sectors. She provides support to clients on the full-lifecycle of grants activities, project management, and strategic planning. Since the beginning of her career, she has helped to garner nearly $20 million in grants and contracts. While serving as a management consultant, she was considered a grants subject matter expert within Deloitte Consulting, LLP’s Federal Services practice where she supported federal grant-making organizations in the areas of full-grants lifecycle, project management, business process improvement, and policy development. A sample project required the management of grant programs to distribute $2 billion in federal funds to state and local entities. She has also served as a grants management specialist implementing a compliance system for large U.S. Department of Education No Child Left Behind funds within charter schools across the U.S.
She graduated from Vassar College with a Bachelor in Arts and received a Master’s Degree in Public Administration from New York University’s Wagner School of Public Service. She has also obtained a Certificate in Grants Management, is a certified Project Management Professional, and is a Certified Grants Professional. She is actively involved in the Grant Professionals Association and conducts training at national and local conferences.